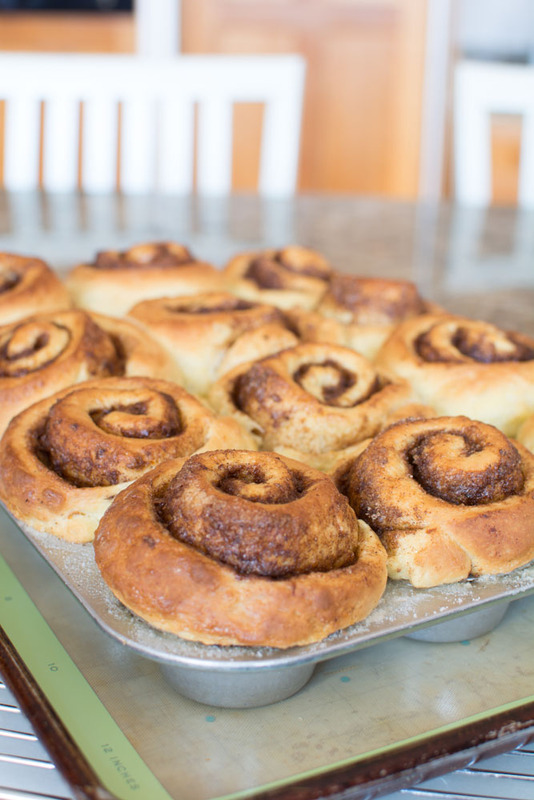 Whenever I walk into my favorite bakery, I ALWAYS buy a Morning Bun. 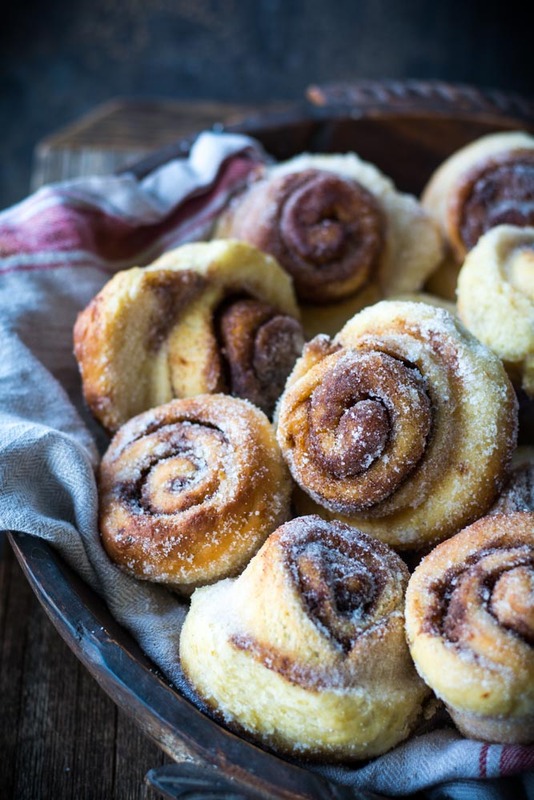 I love the lightly scented orange flavor combined with the cinnamon and sugar rolled into a buttery croissant dough. Heaven! 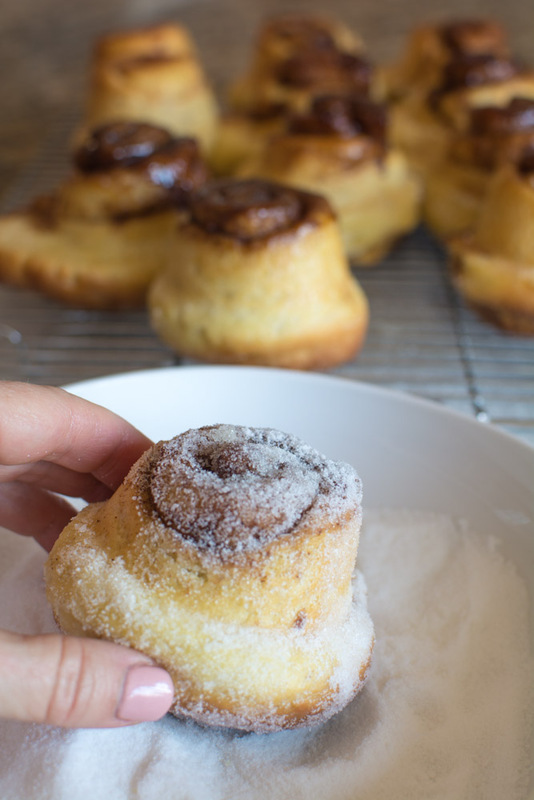 No-Knead Brioche Morning Buns are simple to make and do not require laminating the dough. The base dough recipe for no-knead brioche morning buns is a buttery no-knead dough that is refrigerated overnight. The chilled dough is very easy to roll, fill, slice, and bake. 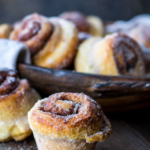 To simplify the recipe for my homemade morning buns, I turned to a great cookbook called Artisan Bread in Five Minutes a Day, by Jeff Hertzberg, MD and Zoe Francios. If you like making no-knead bread, you will love their many recipes and ideas for endless no knead creations. Prepare and measure all ingredients. In a large bowl add the warm water and sprinkle yeast over the top. Stir, then add the remaining ingredients, except the flour, and stir until well combined. 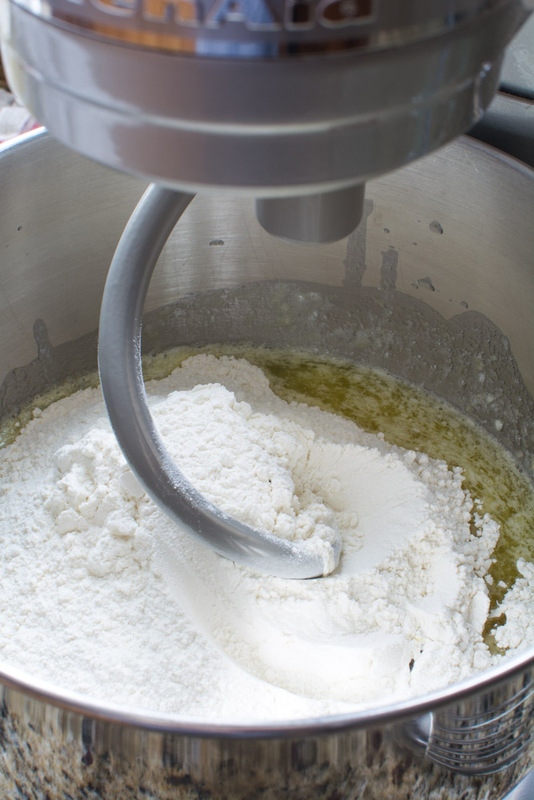 Add the flour all at once, using a stand mixer and a dough hook, mix just until combined. Do NOT knead or continue mixing. Remove dough hook and cover the bowl. I used a dinner plate. You do not want to use an airtight container. 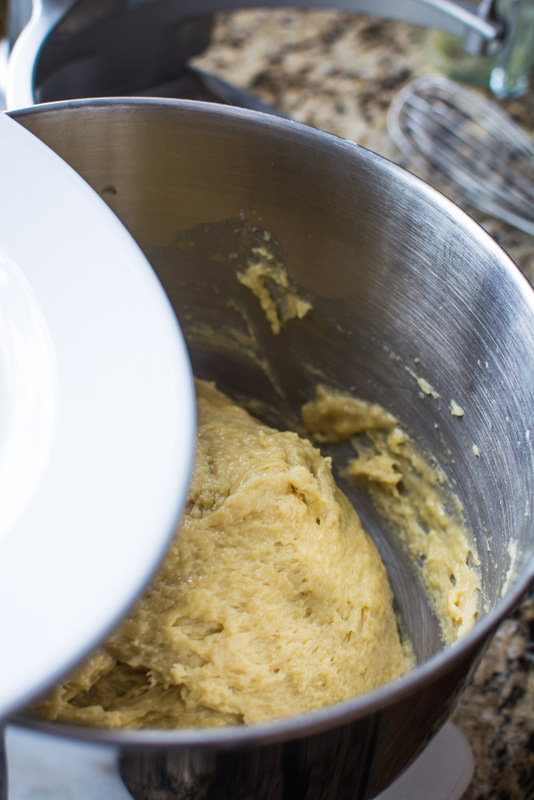 Allow the dough to rise at room temperature until the dough rises and then collapses. Refrigerate in a lidded, but not airtight, container. 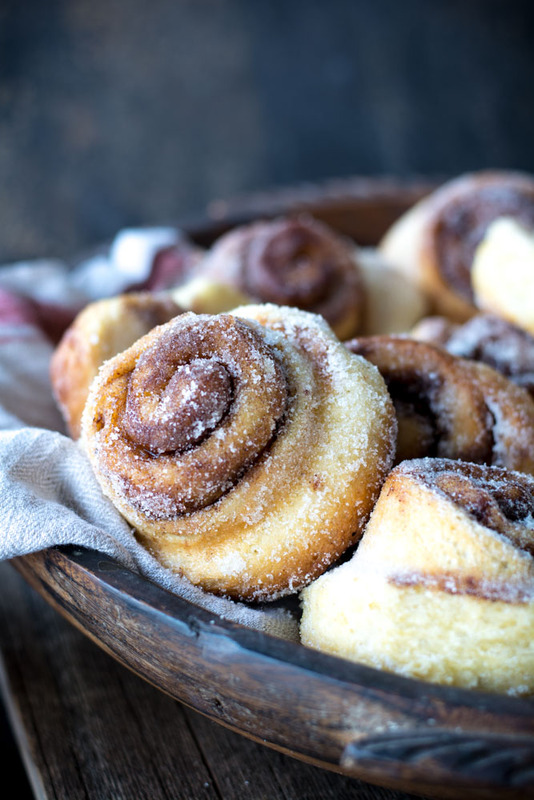 This recipe will make enough brioche dough for 24-morning buns or 4 lbs of dough which can be used over the next few days. 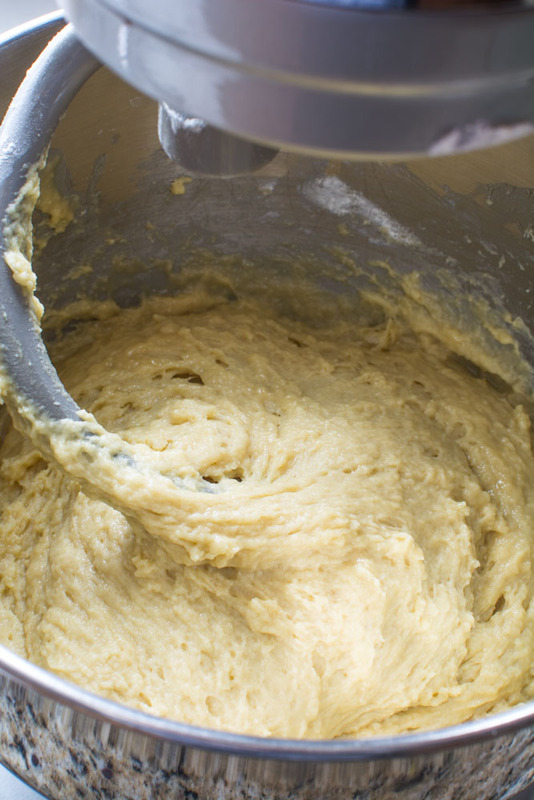 The dough can be used as soon as it is chilled. I refrigerated my dough overnight. 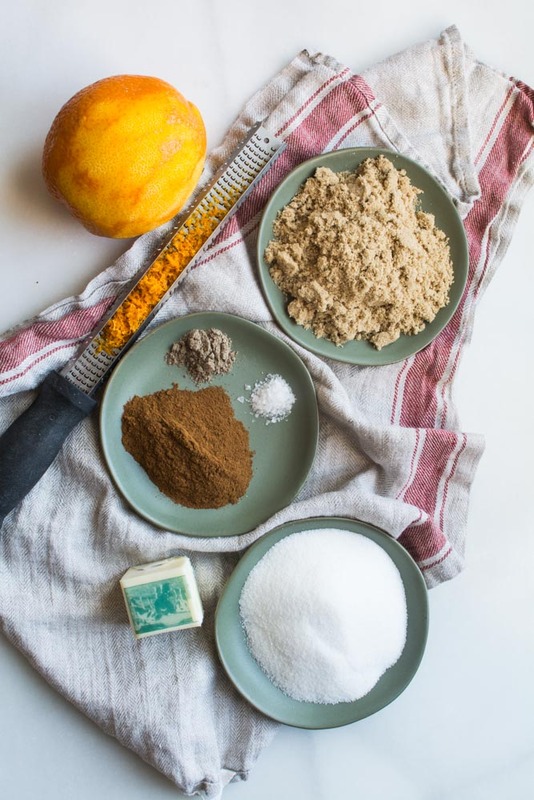 Additional sugar for dusting muffin tins and rolling hot baked buns. In a small bowl mix sugars, zest, spices, and salt. Set aside. Generously butter a muffin tin and dust with white sugar. Set aside. Remove chilled dough from the refrigerator. Lightly dust with flour. then cut off two pounds of the dough. Cover and return remaining dough to the refrigerator for later use. 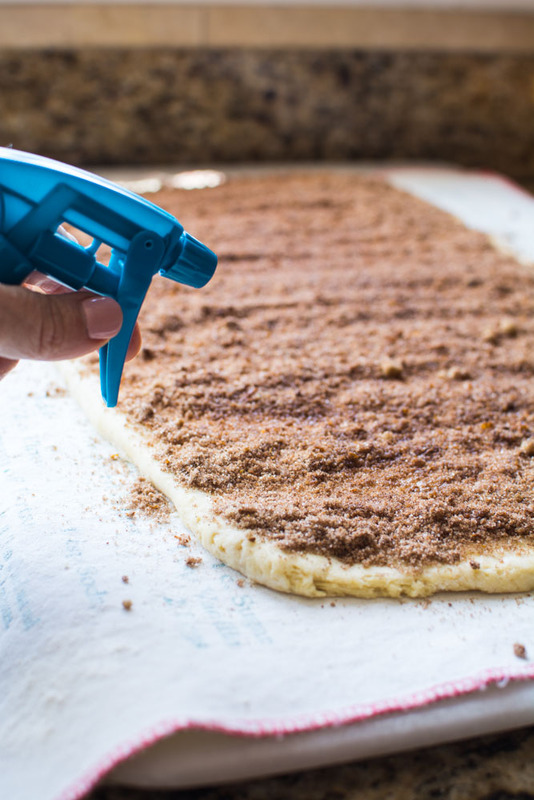 On a lightly floured surface, roll out dough into an 18 x 7-inch rectangle. I always brush off excess flour. Spread with 1/2 cup melted butter and sprinkle with sugar mixture. I like to take a clean spray bottle and mist the top with a bit of water. This is why: the water creates steam inside the rolled up bun and helps to melt the sugar mixture. Creating a wonderful glaze on the bottom. I want caramelization, baby! This method works every time. Slice into 1 1/2-inch slices and place into prepared muffin tin. Allow to rise, lightly covered with a cloth, for 1 hour and 40 minutes. Bake in a preheated 350-degree oven for 30-35 minutes or until golden brown. 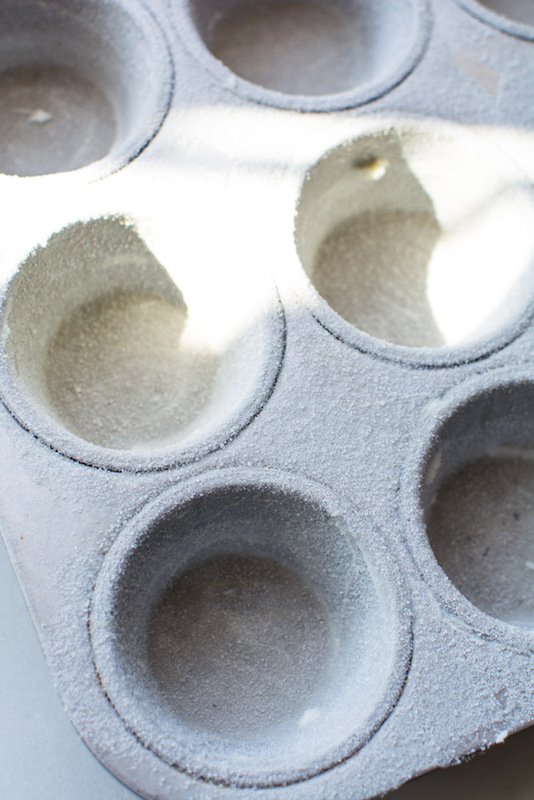 Remove from oven and tip the hot buns out of muffin tin onto a wire rack. 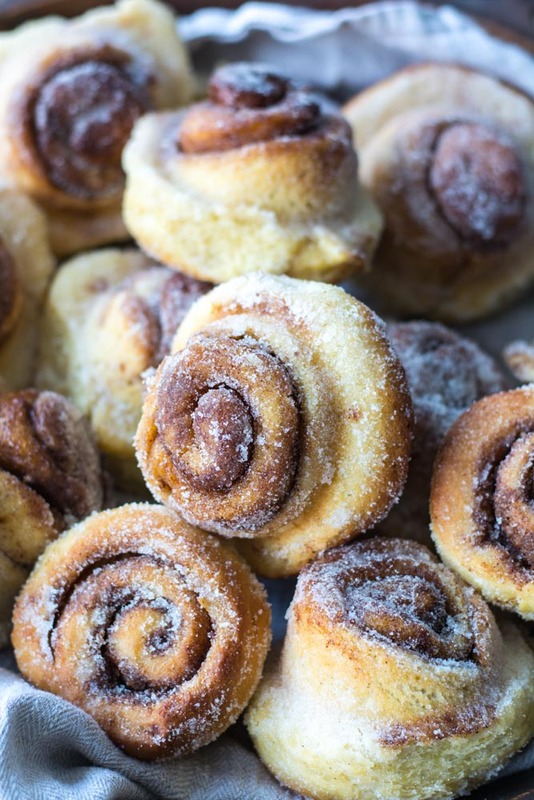 Lightly brush with butter then roll into more sugar. Place on a wire rack to cool. I always have to eat one hot…tradition/habit. Notes: I liked the brioche dough for 1-3 days of rising. I baked a loaf of brioche bread on day five of refrigeration and the dough was pretty yeasty. 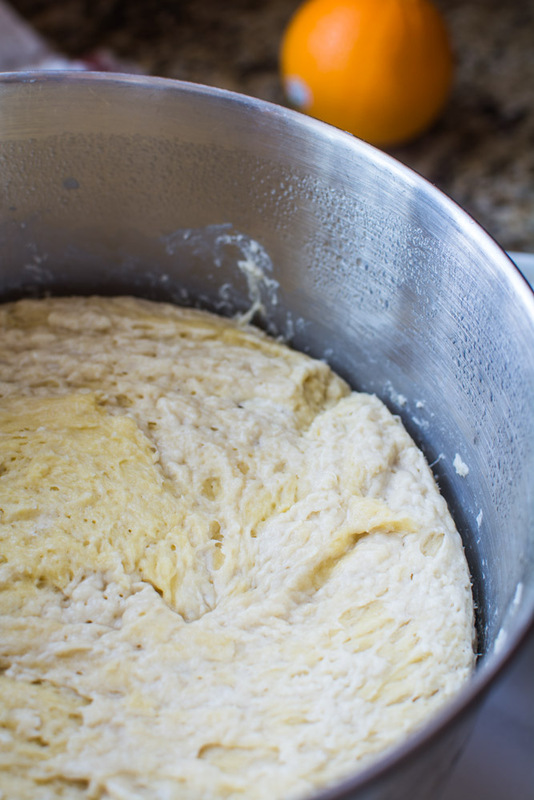 I’m excited to create more recipes I no knead brioche dough recipe. I just have to space out the baked goods hanging around the kitchen because I can live off of brioche, but my thighs don’t appreciate it. 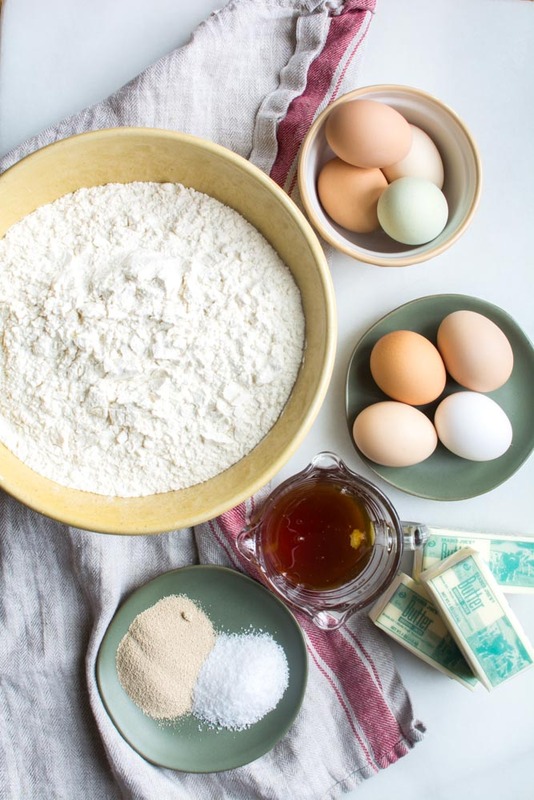 Mix in the flour without kneading. I used a stand mixer with a dough hook. Don't try to work it before chilling. If you notice lumps, they will disappear in the finished product. Cover the dough, but not airtight. I used a dinner plate on top of my mixing bowl. 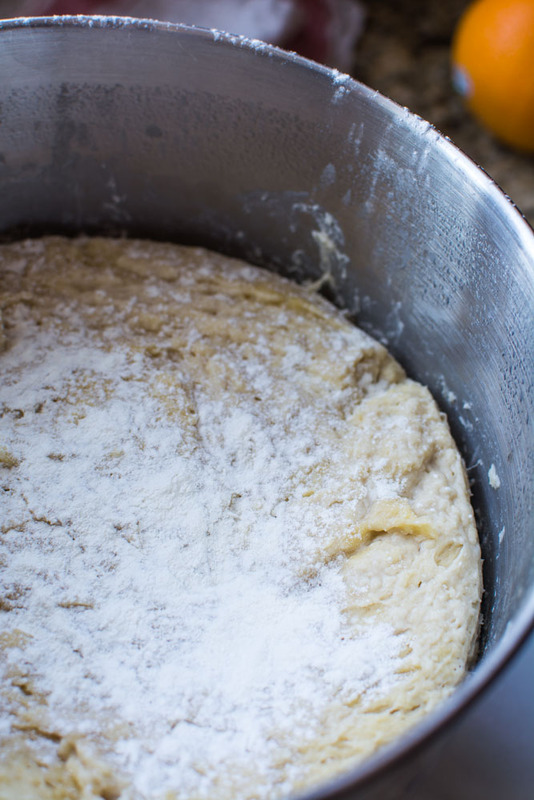 Allow dough to rest for about 2 hours or until the dough rises and collapses. Refrigerate in the same bowl covered (I used the same plate) until chilled or overnight. This recipe will make 4 lbs of dough. 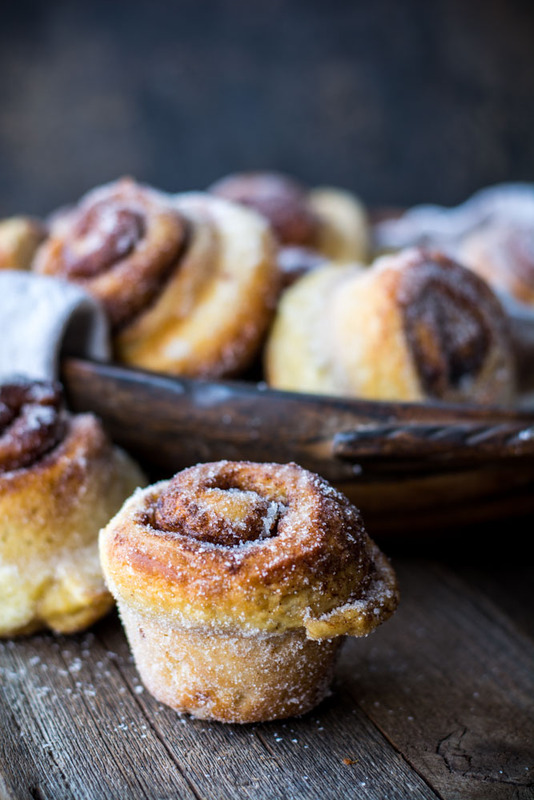 When ready to make morning buns, remove dough from refrigerator and dust dough with a bit of flour and cut off a 2-pound piece (1/2) of the dough. 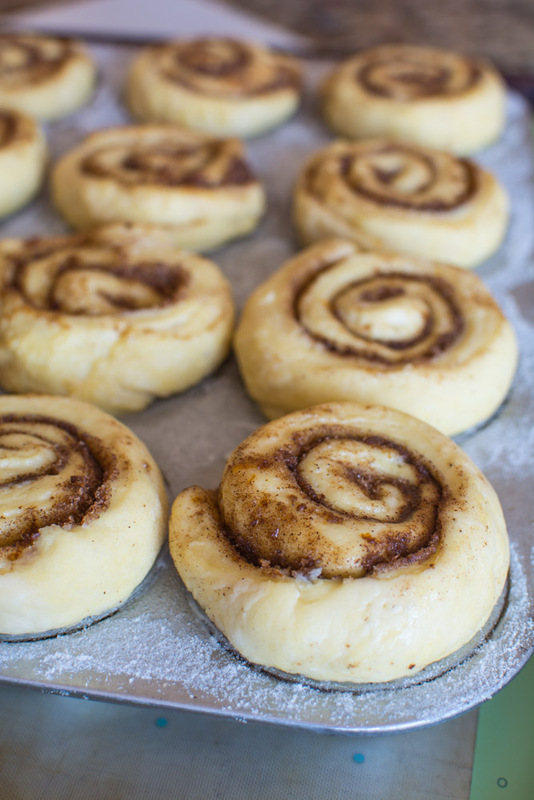 Cover leftover dough and place in refrigerator for later use OR just make 2 dozen morning buns. 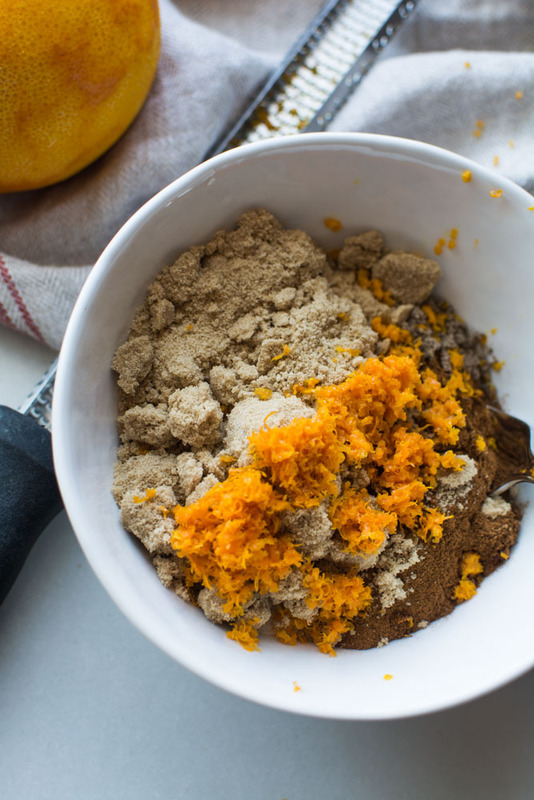 In a small bowl, mix sugars, orange zest, cinnamon, cardamom, and salt together. Set aside. 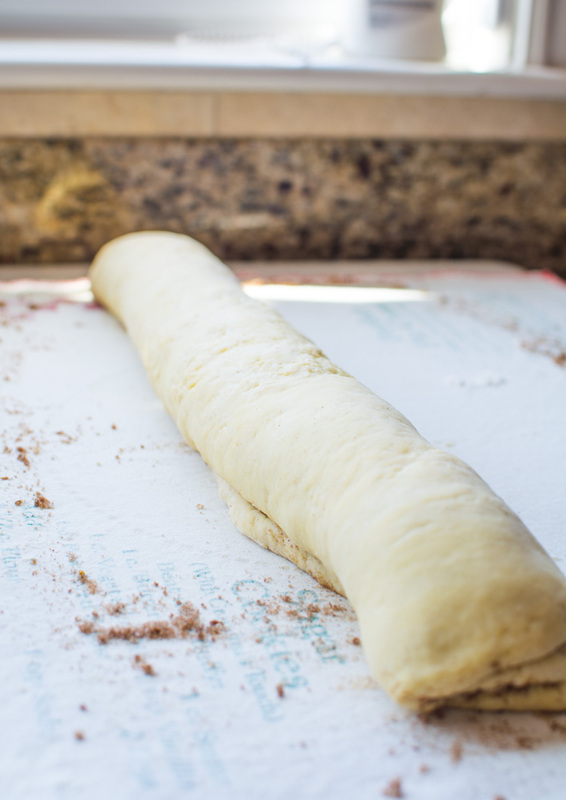 Roll out dough into an 18 x 7-inch rectangle. Brush with 1/2 cup melted butter. 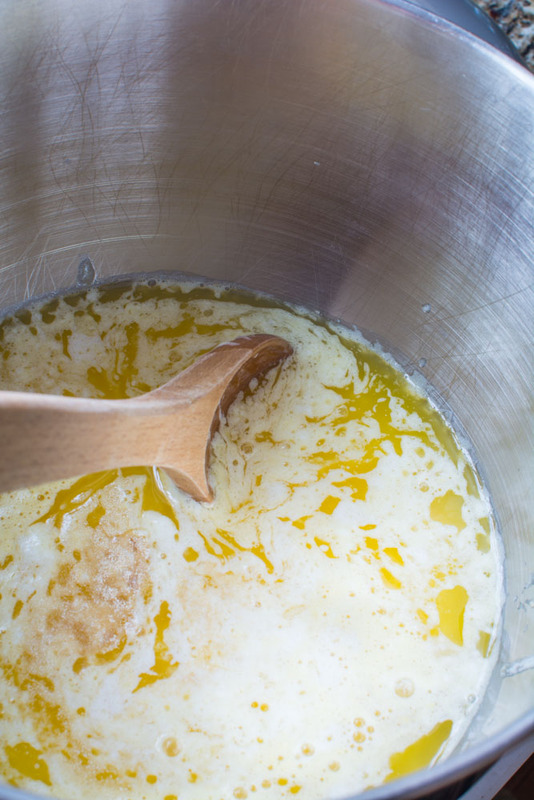 Sprinkle sugar mixture over the top of melted butter. Spritz the sugar mixture lightly with water. 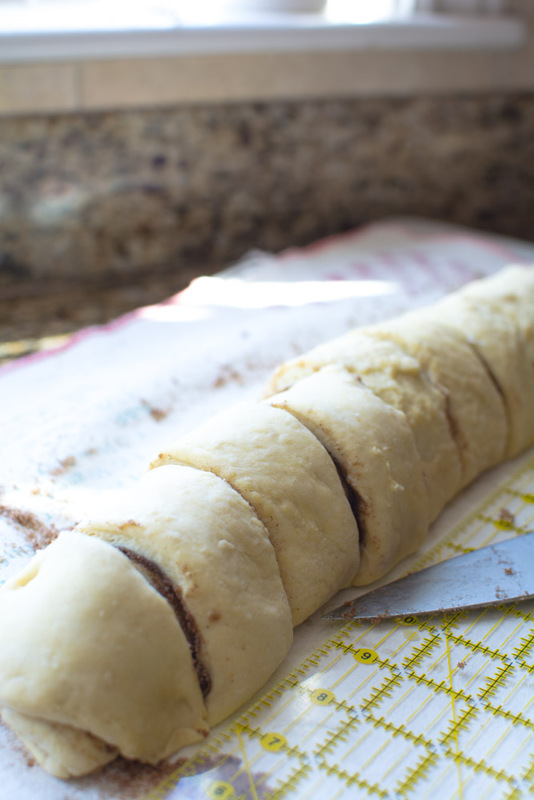 Tightly roll dough (lengthwise) into a tight roll. Cut into 1 1/2-inch slices. Place in prepared pans. Let rise for 1 hour and 40 minutes. Bake in a preheated 350F degree oven. Bake for 30-35 minutes or until golden brown. Remove from oven. Tip buns out of pans onto a cooling rack. 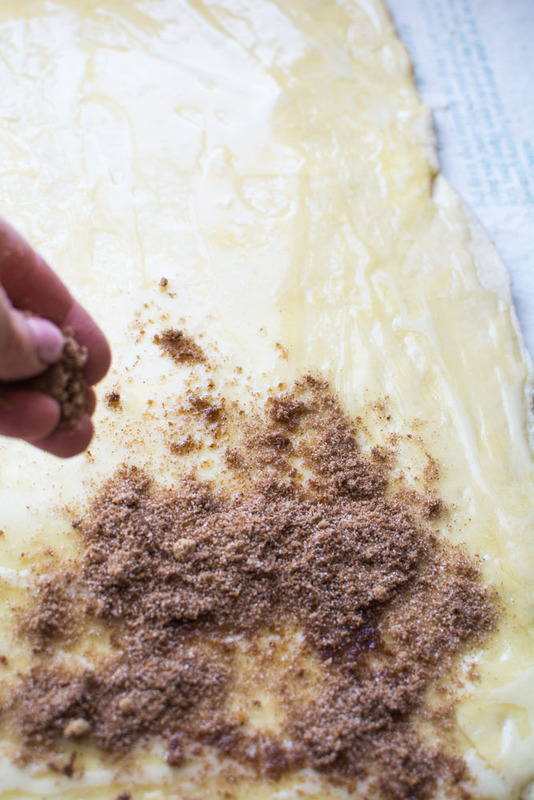 Brush with additional melted butter and roll in white granulated sugar. Cool on rack. Makes 1 dozen. I experimented with the dough to see how long it can be left in the refrigerator. 1-3 days the dough was really good for baking and not overly yeasty. On day 5, I baked a loaf of brioche. I thought the end result was very yeasty. I tossed it. Spritzing the sugar mixture with water, creates steam inside the rolled up dough which helps melt and caramelize the sugars. This will create a wonderful glaze on the bottom of the bun. Yum. Hi Janet, I bought the book AB5D, from your recommendation and I noticed Zoe uses 8 eggs and you have cut it down to 4 eggs. If you already explained it in the notes, please accept my APOLOGIES, I’m over 50 now and things seem to slip by a little more often than they used to. thank you for all that you do! I’d like to bake this recipe and adjust it to bake in a loaf pan instead of a muffin pan, Any advice on how I’d have to adjust the baking time? Hi Brian, I think I would divide the dough into 2 loaf pans. You could use 5 x 9 or 4 x 8-inch. The cook time would probably be about 35-40 minutes. The best way to tell if bread is completely cooked, especially a rolled loaf, it to use an instant read thermometer. Once the bread is browned check the internal temp of the bread. It should be between 190-200 degrees. If the bread is browning too much before it has completely cooked, just cover with a sheet of foil. I hope this helps and I want a slice of your morning bread. Yum! I love the idea of a bread loaf. I love the addition of the orange! Your instructions say this is a 4-pound mixture and to take half to make 12 rolls. Then you reference this half is 1 pound. I have taken half and it weighs a little over 2 pound is is very thick when rolled to the 18×7. I have to assume that 2 pounds or half the mixture is incorrect for the 12 rolls. Thanks and please clarify. I have gone over the recipe and have corrected the “1 pound” dough error. Thanks for bringing the to my attention. I did use 2 pounds of dough for my recipe. I rolled the dough a little more than 1/4-inch thick. I cut the roll into 1 1/2-inch thick slices and I did get 12 rolls out of the recipe. I know most baking calls for unsalted butter but, I have salted on hand. May I use salted butter in this recipe or will it impact the rise of the dough? 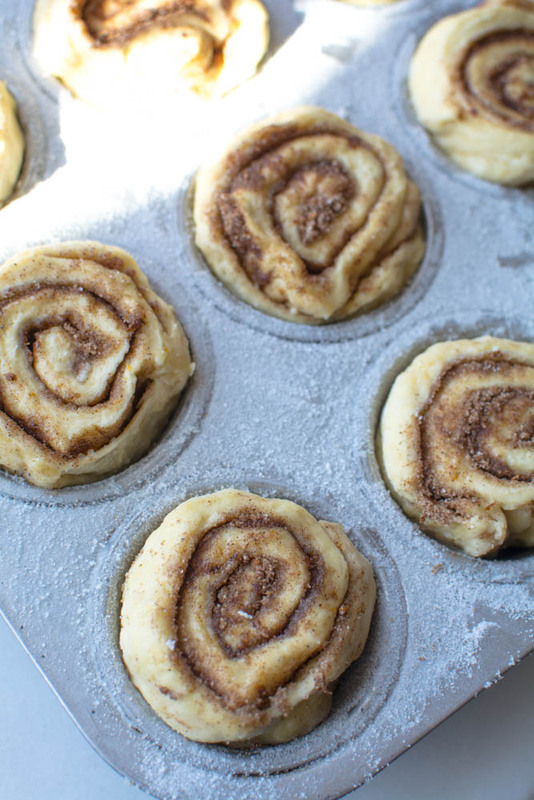 Your morning buns look perfect! Thank you so much, but they were far from perfect. But the only thing that matters is the taste…right? Salted butter will work just great. Just reduce the salt in the recipe by 1/2 teaspoon. I hope you love them. Have you adjusted these for Salt lake City altitude? I’ve been using AB in 5 no knead Recipe for the last 9 years but havent tried the brioche. I really needed to decrease the yeast for our altitude and wondered if you had done yhis. Thanks. I did not change the amount of yeast in the recipe. After 5 days the dough was extremely yeasty. I think decreasing the yeast by 1/2 tablespoon would not be a bad idea. I hope you love the brioche. So now I am dying to know! 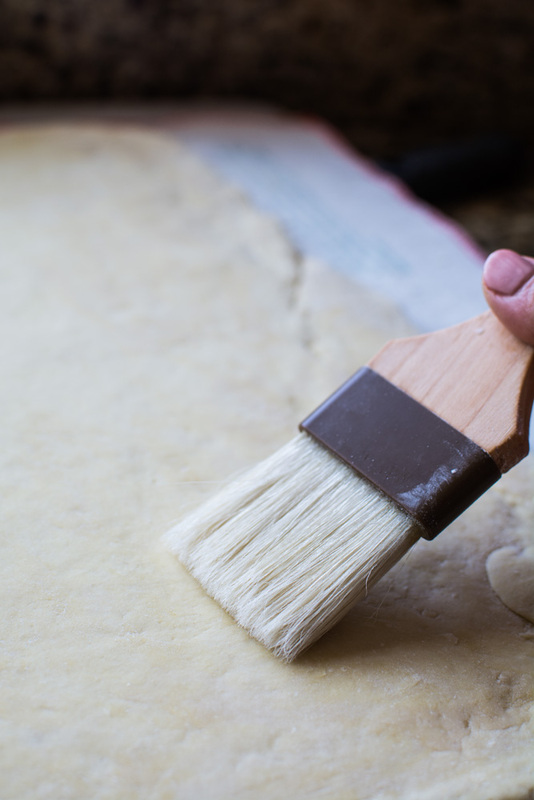 As a local, what is your favorite bakery? Also, these look FABULOUS. 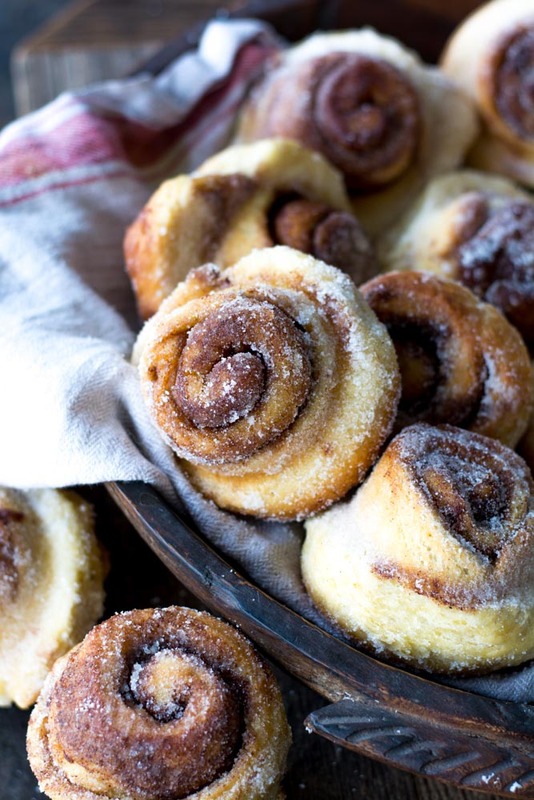 Now i want to cancel my saturday plans so I can stay in and make these. Hi Jen, My favorite bakery for morning buns is Tulie on 7th South and 7th E. Les Madeline has the most amazing Kouign amann pastries. During the summer Crumb Brothers from Logan has a booth and their morning buns are fabulous along with everything else they make. Let me know if you like the no knead brioche dough. I agree, Les Madeline has seriously AMAZING kouign amanns!